Matt Milam, a Home Place resident who helped lead the neighborhood’s 12-year fight against annexation by Carmel, announced he will run for the Carmel City Council in the 2019 election. 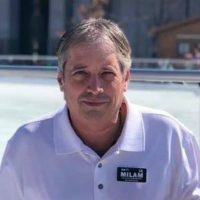 Milam said he’s been planning to run since he came up short in the Republican primary race for the Hamilton County Commission against incumbent Christine Altman in May. Home Place is currently in the southeast district, but a proposed redistricting plan filed by city councilor Sue Finkam last week includes the recently annexed area in the southwest district. Councilor Tony Green lives in the proposed southwest district and said he plans to run for re-election in 2019. The council will hold a public hearing on the proposed redistricting plan at its Oct. 15 meeting. Members of the public submitted at least five other plans, and a meeting is tentatively set for Nov. 5 to discuss changes to the plan. A certified copy of the final ordinance is planned to be submitted to the clerk of the Hamilton County Circuit Court by Dec. 5. Milam, a Home Place resident for nearly 25 years, expects that the proposed districts won’t change much and that he will end up challenging Green in the 2019 primary. Milam said his campaign will focus on Carmel’s debt, the use of tax increment financing districts and oversight of the mayor. Milam, 53, works in the transportation industry in Zionsville. He is married and has two children.